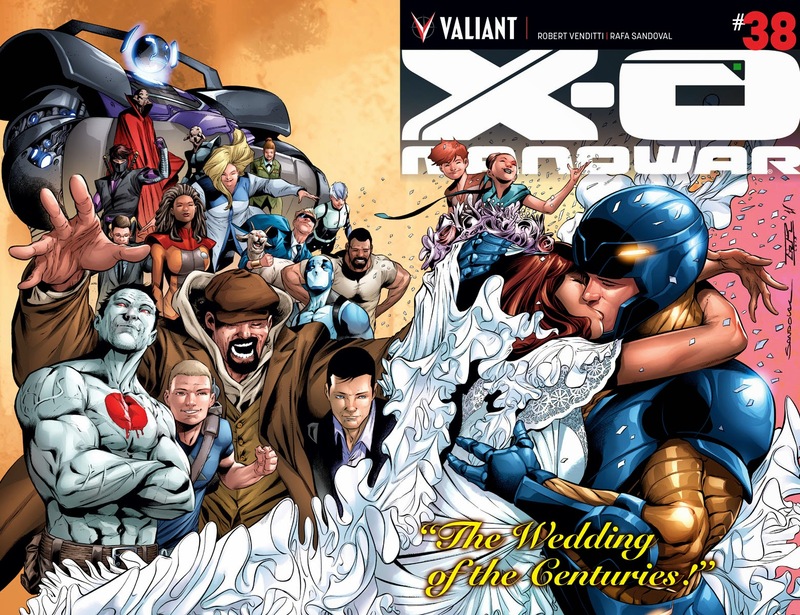 PICK OF THE MONTH: X-O MANOWAR #38 The Wedding of X-O Manowar! Aric of Dacia nearly died in battle against the Armor Hunters, and watched a world end at the hands of the Dead Hand. As a king, he knows that it is his duty to marry and provide his people with an heir to protect them in the generations to come. He now makes the next step on his journey... With a guest list of the Valiant Universe's finest, what could possibly go wrong? One hint: everything!48 pages, $4.99. ! (W) Robert Venditti, Amy Chu, Andy Runton and Rafer Roberts (A) Rafa Sandoval, Clayton Henry, CAFU, Andy Runton, and Rafer Roberts. 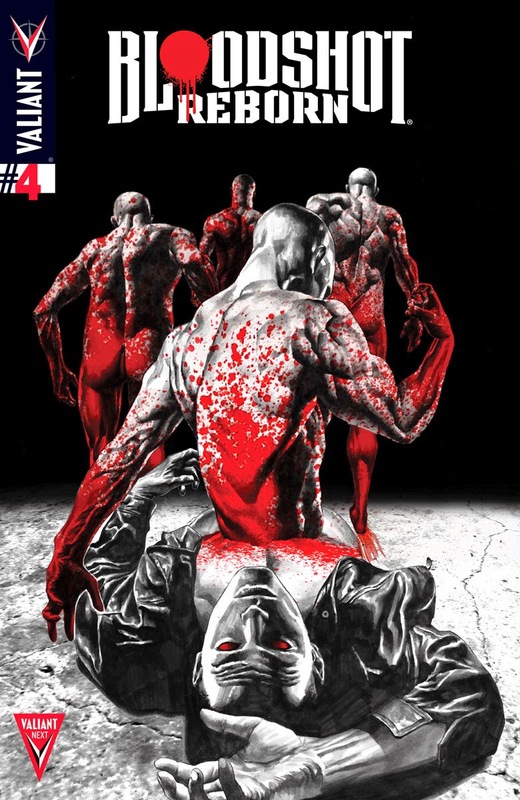 NINJAK #5 The final secret of the Shadow Seven exposed! Ninjak's mission to destroy Weaponeer and its secret cabal of shinobi masters just got a bit more complicated...since the newest leader of Weaponeer is... Ninjak himself?! Meanwhile, Roku's gone missing, but we all know the world's deadliest woman is at her most dangerous when she's out of sight! Plus: Colin King's past comes back to haunt him in a big way as Ninjak: The Lost Files reveals a deadly connection to Ninjak's present! (W) Matt Kindt (A) Clay Mann, Butch Guice. SOUNDS LIKE AWESOME UNITY #20 Out of the darkest recesses of the 20th century... the War-Monger returns to rage against the combined might of Valiant's most elite superteam! For thousands of years, the Eternal Warrior has waged battle; and for thousands of years, one spirit has vexed him...the spirit of warfare itself. Today, Gilad Anni-Padda and his teammates in Unity must reckon with a long-thought-forgotten enemy--unseen since Unit-Y faced it in World War II--now returned to bring destruction and death to the heroes once and for all. Unity may not survive the coming of War-Monger! (W) Matt Kindt (A) Jose Luis. What do you think? For the full list of Valiant's July 2015 solicitations, click the jump.